at the ultimate Jimi Hendrix interpretation concert in North Carolina organized by members of the legends family. 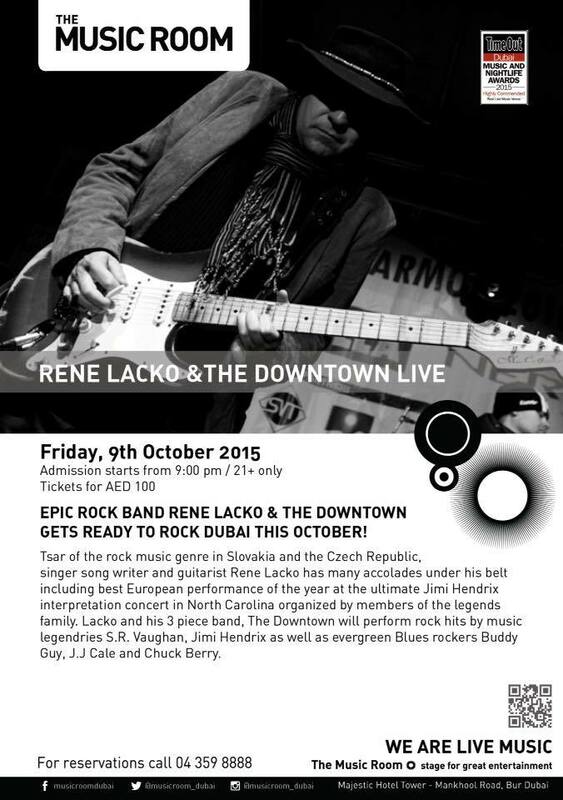 Lacko and his 3 piece band, The DownTown will perform rock hits by music legendries S.R. Vaughan, Jimi Hendrix as well as evergreen Blues rockers Buddy Guy, J.J. Cale and Chuck Berry.